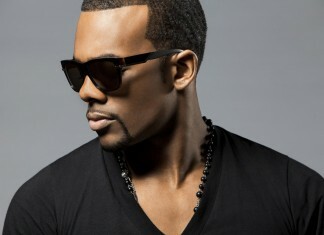 If you’re looking to change up your hairstyle in a bold way, consider going for a trendy undercut style. 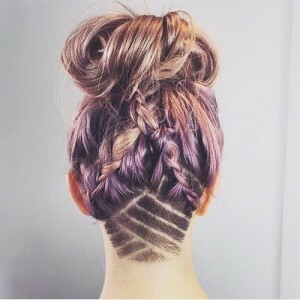 Spanning the range from feminine to drastically edgy, you can limit your undercut to one small section, or go bold and crazy by shaving half of your head. A skilled stylist can turn your undercut into a work of art by adding lines, geometric designs, or detailed pictures of hearts or lotus flowers. 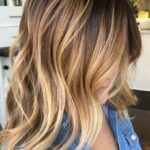 If an undercut alone isn’t bold enough for you, this is the perfect style for experimenting with color, like a pastel shade with natural colored roots, or contrasting ombre on longer hair. 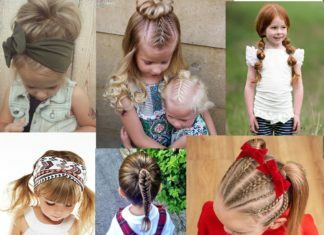 For ideas on how to make an undercut hairstyle work for you, take a look at these 20 trendy undercut hairstyles for women. With grey becoming one of the biggest trends in hair color, going grey is bold but rocking it with an undercut is even bolder. This close cut on the sides will slim your face and make your cheekbones stand out, while longer hair in front falls in softly layered bangs. This boy-inspired bowl cut features an undercut that tapers at the sides and nape of the neck. Longer hair on top is shaped into a modern version of a bowl cut that takes a lot of artistic flair and confidence to execute. 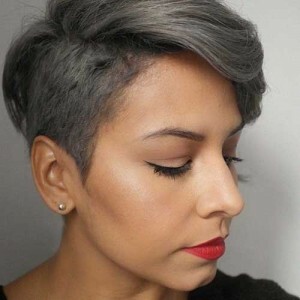 A perfect example of edgy meeting glam, this platinum shade is perfect for fair-skinned women who want to add a bold color to their undercut style. Glamorous when worn with an intense smoky eye, you can convert this look into an everyday style by pinning back or french braiding the longer hair on top. This side undercut and purple ombre color are a great example of Demi Lovato’s recent edgier style chocies. With hair this long, a smaller side undercut like this is easy to hide on occasions when you’d like to look professional, and if purple isn’t your shade, there are endless ombre options to choose from. 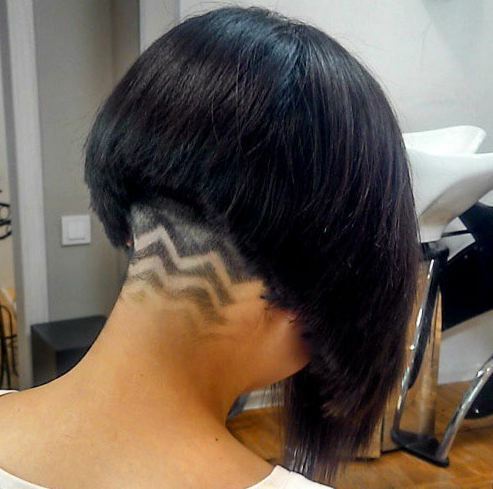 In quite a daring style, this undercut area covers more than half of the head. The longer hair remaining is styled into a small, messy bun, for an overall look that’s artistically minimalistic. If you’re not into glamorous hair that requires lots of styling, this is the cut for you. 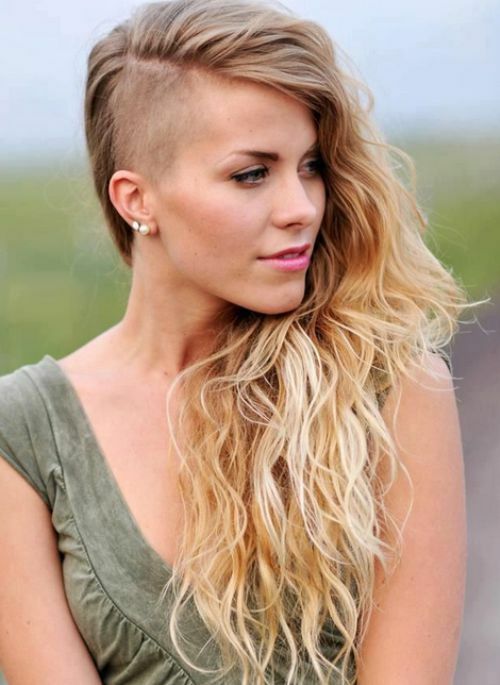 This blonde ombre look is a gorgeous example of how an undercut style can look super feminine. 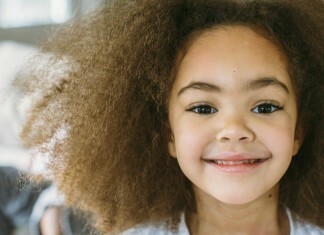 Ultra long hair is left with natural dirty blonde roots, while various tones of warm golden blonde are applied throughout most of the hair’s length. 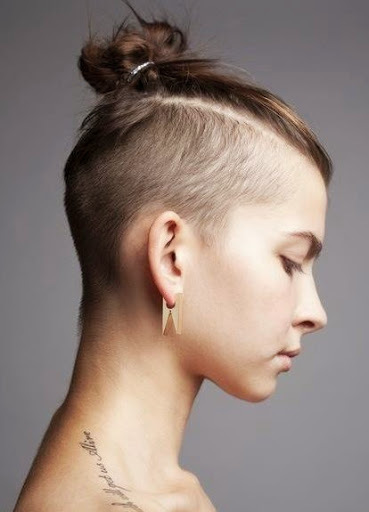 On days when you’re not feeling edgy, the undercut is easily concealed by parting your hair on the opposite side. 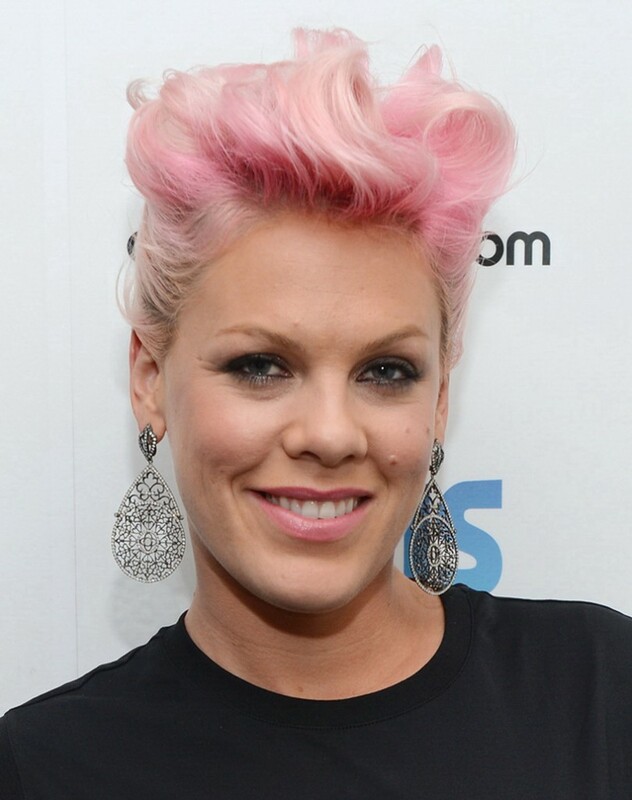 Known as the personification of edgy glam-rock styles, singer Pink looks bold yet bubbly with this cotton candy colored hair. 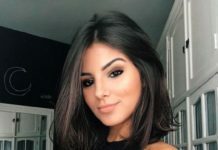 A less drastic undercut, this features sides that are shorter but not shaved, which helps to play up the soft femininity of the longer wavy hair on top. 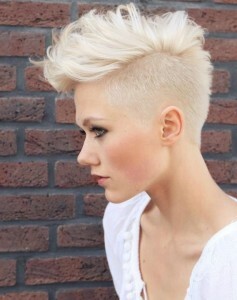 Looking for a more natural and relaxed undercut? This is a great style if you’re in love with the undercut silhouette, but not ready to completely shave down your hair. 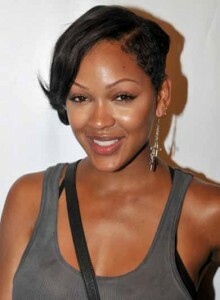 As shown by Meagan Good, this undercut style has feminine sophistication for days. To put a twist on your angled bob, try adding an undercut at the nape of the neck. This particular version features an intricate wave design that you could take one step further by coloring a vibrant blue or pink. 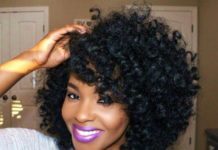 This style is best attempted by women with fairly thick hair, as the bob cut this high in the back can leave fine hair looking limp. When combined with long hair, an undercut nape is a neat style detail that you can choose to show off with a high bun, or hide by wearing your hair down. 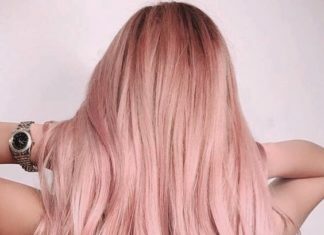 In this particular style, braids are used to frame the line detailed undercut, while lavender and peach pastel tones contrast nicely with the natural dark shade of the roots. A nape undercut with no fancy details, this is a simple way to add edge to your classic ballerina bun or top knot. 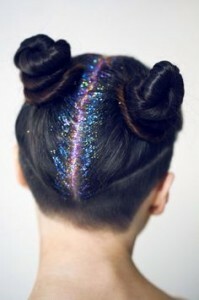 To make this style more intense, use semi-permanent dye on the undercut hair to create a patch of vibrant rainbow hues. A daring look in any setting, this undercut is shaved right down to the scalp, and requires complete confidence to successfully pull off. The french braid running down the back of hair serves to frame the shaved section and adds a contrasting romantic element to the style. Who says you can’t wear an elegant knot and an undercut on the red carpet? This out of the ordinary red carpet look is a great example of how very short undercuts can be worn as they grow out, and this sohpisticate style proves how quickly bold trendsetters can change style conventions. 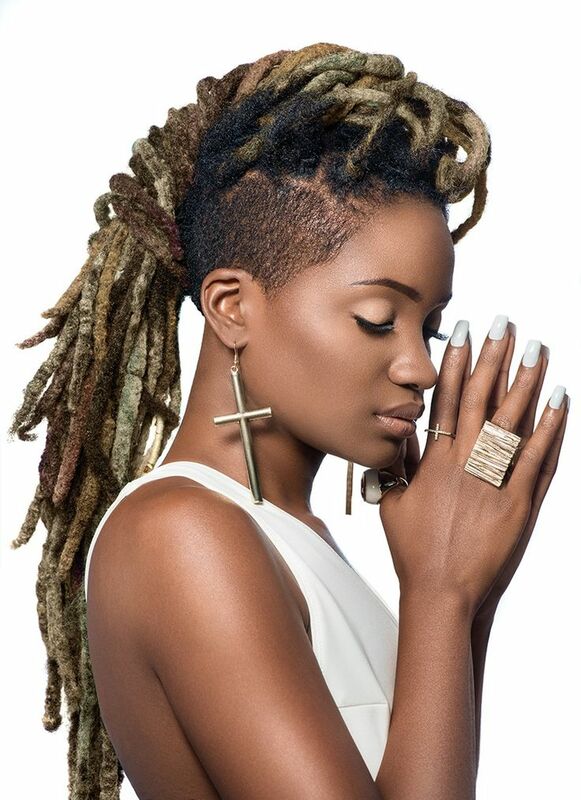 For women with dreads who want to add new flair to their look, try adding a shaved patch to one or both sides of the head. When worn in this twisted back mohawk style, the undercut will be on display, but you can easily cover the shaved sections by letting hair down. The earth-toned colors in these dreads add an extra element of all-natural hippie style. 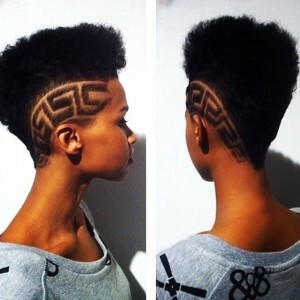 For women with natural curls who want to add some edge to their look, this frohawk style uses shaved sides to create a mohawk silhouette. The Aztec inspired detail added into the sides feature clean lines and precision cuts that turn this cool cut into a true work of art. A fun, ’90s inspired way to show off the undercut nape and sides of your hair, these double buns are easy to achieve, and protect your hair from the elements and damaging heat styling. If you have a compulsive need to always stand out in a crowd, this glitter enhanced part is the perfect way to add temporary color to your style. As one of the first celebrities to wear an undercut hairstyle, Cassie has become a pro at adapting the style for different occasions. Her high undercut looks ultra glam alongside these big romantic curls, and is perfectly accessorized with large, statement earrings. If you’re getting tired of wearing your hair in a ponytail, an undercut can add an edgy twist on the classic sleek style. 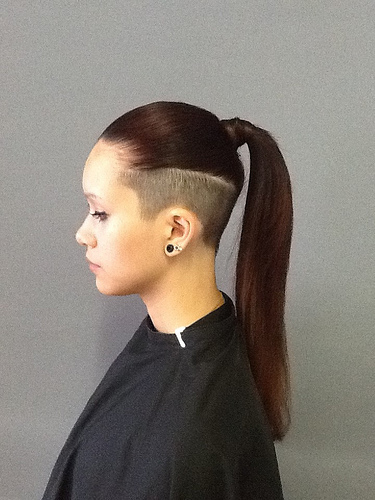 This is the perfect undercut for women with long, thick hair. 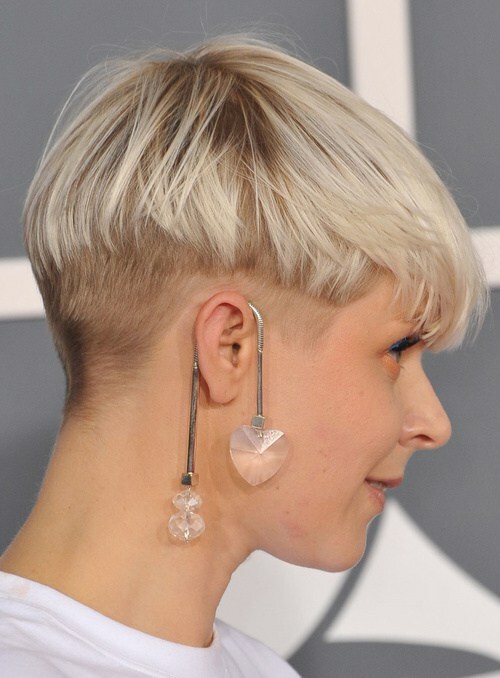 This artsy blonde style is actually more subtle and feminine than some of Robyn’s other looks, but the undercut sides with shaved line details keep the singer from looking too demure. 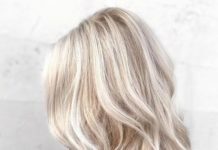 If you’ve got naturally dark hair, try coloring just the longer hair blonde, and leave natural undercut roots as a striking contrast. 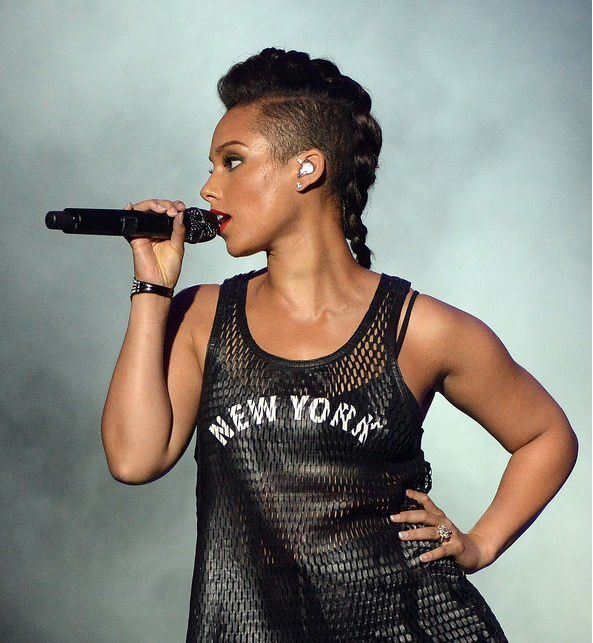 At the beginning of her career, Alicia Keys was known for wearing her hair in skinny braids but has since tried on a wide variety of styles. 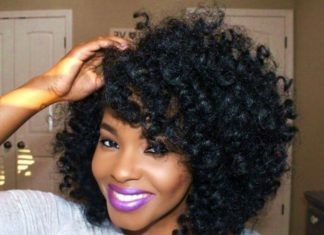 This jumbo braided mohawk is a high-impact look that you don’t have to be famous to pull off. Pair it with athletic street style like Alicia does here, or dress it up with big earrings and a cocktail dress.